Home Anime Critically acclaimed anime movie Maquia is showing in the Philippines soon! It's 100% on Rotten Tomatoes right now! Here’s some more good news for Pinoy anime fans! 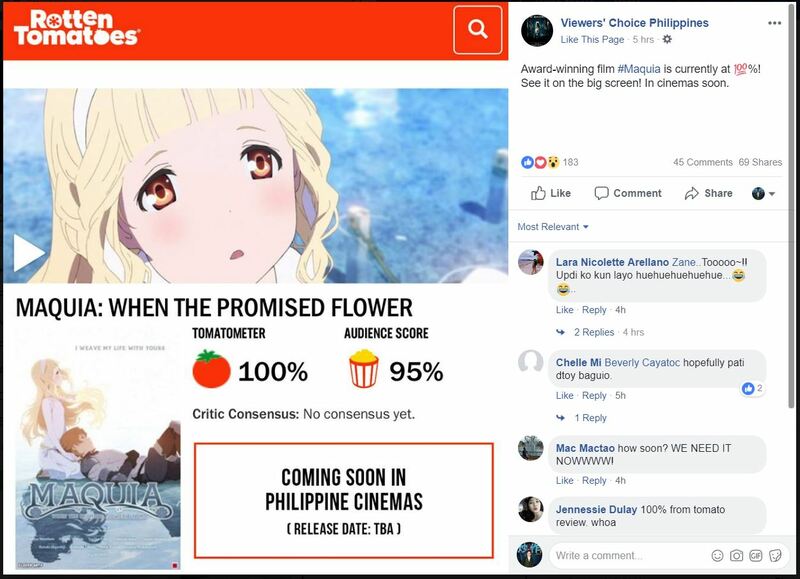 The critically acclaimed anime film — Maquia: When the Promised Flower Blooms is coming to Philippine Cinemas soon. This follows the recent announcement that the My Hero Academia movie is also coming soon to the Philippines. Here’s the announcement by Viewers’ Choice Philippines. No release date yet though. Maquia: When the Promised Flower Blooms is produced by anime studio P.A. Works and directed by Mari Okada. 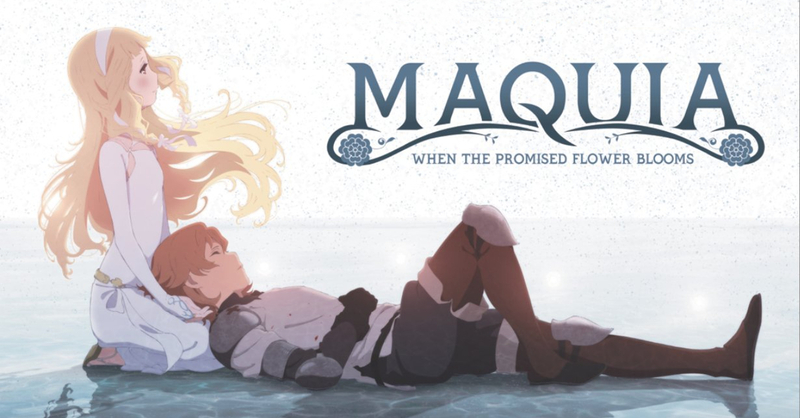 Maquia is the first feature-length anime film directed by Okada; she is best known for her work as the writer for animes such as AnoHana, Toradora!, and Black Butler. The film follows the story of Maquia, a 15-year old girl of the Iorph people — a tribe who age much more slowly than men. She then happens upon an orphaned baby named Ariel from another tribe who she adopts as her own — an act that is forbidden among the Iorph. Maquia is sure to be a tear-jerker, if Mari Okada’s other works are to be followed. In any case, it’s sure to be a great movie, as it currently sits at a 100% rating at Rotten Tomatoes. It’s MyAnimeList score of 8.4/10 is not to shaabby either. The film will be shown in select cinemas in the Philippines soon. Check back here at UnGeek for more news on Maquia, specifically its final release date and list of theaters.